Careful design of public spaces and buildings can help prevent crime and make us feel safer. It has its basis in the origins of crime prevention, Crime Prevention Through Environmental Design (CPTED) and more recent approaches. 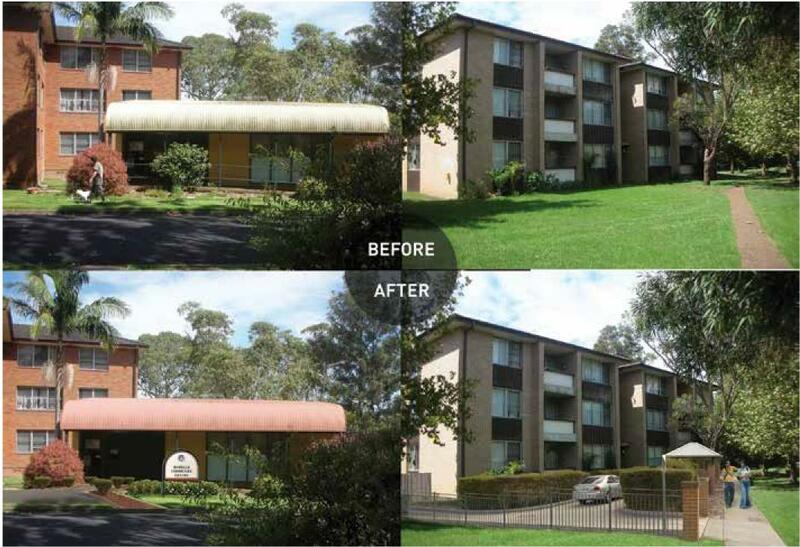 Inner Sydney will experience significant changes in the next couple of decades. We have new completed developments such as Central Park in Chippendale; Barangaroo continues to be developed despite controversy and the plans for Green Square are well underway. These current and future changes create possibilities for Sydney to be more liveable, vibrant, inclusive and safe. Crime prevention is a relatively new concept; however the idea of prevention has existed since early cities were formed. In ancient cities, protection from crime was exercised at the individual or family level with ‘self-help’ methods. As cities grew and risks increased these methods became more formalised, for example the Norman conquest of England in 1066 gave rise to a form of vocational citizen policing. Male citizens were required to form groups for the purpose of policing each other. Such groups gave rise to other forms of cooperative associations with the intention of protecting the community and one another. This, often voluntary, responsibility for crime prevention persisted in England until the 1800’s and was the seedling for the police force as we know it today. Urban design for the purposes of protection was at first exercised intuitively (location and then walls, moats, drawbridges were built to protect communities from external invasion). Planned urban design emerged during the re-development of Paris in the 1700s, commissioned by Napoleon and led by Baron Haussmann. Parisians addressed crime prevention through preventive patrol, increased lighting and street cleaning. The transformation of Paris from its medieval form into a modern, open and hygienic city became the reference for cities of the time. In the early 1900s Chicago was at the vanguard of crime prevention, using urban sociology to study urban dynamics of the time. Scholars from the Chicago School of Sociology investigated crime and delinquency in central areas. They identified transience and lack of social ties as factors limiting the exercise of informal social control in urban areas and leading to some degree of impunity. The Chicago Area Project (1931) sought to work with residents to build a sense of pride and community. Contemporary definitions of crime prevention vary across disciplines; however they agree that crime prevention refers to actions that impact on the reduction of actual levels of crime and the perceived fear of crime. Crime Prevention Through Environmental Design (CPTED) has been one of the most widely discussed and practiced crime prevention approaches of the past 30 years. The main focus of CPTED is to make crime harder to commit by altering the physical environment. CPTED also focuses on creating conditions to make residents feel safe in their surroundings. This can be achieved by appropriate architectural designs e.g. increasing lighting, designing appropriate locks, doors and fences. These designs aim to encourage the creation of welcoming spaces that attract positive uses. CPTED has as its premise that through appropriate urban design, social cohesion and citizens’ attention and involvement, crime prevention can be achieved. The CPTED approach grew out of Oscar Newman’s (1972) concept of defensible space. Newman’s idea was “to propose a model which inhibits crime by creating a physical expression of a social fabric which defends itself”. The idea behind this concept is that the physical urban environment can influence behaviour among residents and potential offenders. Residents can develop more caring attitudes so potential offenders will observe that the place is taken care of; hence they may be discouraged from committing a crime. Newman’s work is based on his studies on public housing estates in America but the lessons from CPTED have transcended. CPTED is an approach now used in all types of residential and non-residential urban areas as well as for the design of products and other public spaces e.g. retail spaces, bus interiors and others. The CPTED approach is based on the principles of: territoriality, surveillance, access control, activity support, image/management and target hardening. Territoriality: is when local residents exercise a sense of ownership over particular spaces. It can be applied either in an indirect way, for example through signage and pavement treatments, or in an explicit way by using fences to differentiate particular areas. Territoriality is difficult to define as it varies across cultures. Research has demonstrated that some burglars assess risks based on territoriality measures, so that clearly defined spaces can discourage crime. Surveillance: involves any actions to increase the chance that offenders will be observed. Physical design has the capacity to promote informal and natural surveillance opportunities for residents to observe and exercise guardianship. An example of this is when a resident can observe what is happening in their surroundings from their windows. Street activity also facilitates great opportunities for surveillance (more ‘eyes on the street’). Designs with poor visibility that allow concealment such as shrubs, dark spots and blind corners tend to be attractive to burglars. This is perhaps the most relevant principle of CPTED. Other formalised types of surveillance include police patrols and mechanical surveillance such as CCTV. Research has shown that mechanical surveillance measures can become quite expensive, intrusive and logistically more complicated, hence, not as efficient as natural surveillance measures. Access Control: aims to reduce potential crime by limiting the access of people to certain spaces only allowing persons who have legitimate reasons to access an area. It can be applied in an informal way by using design that strengthens space definition; and in formal ways by having security personnel at entry points. Access control can be a controversial principle as it can generate negative social impacts such as privatisation of public space, social segregation, and displacement. Activity Support: uses design elements to guide people through spaces. For example design of signage encourages intended patterns of use and influences behaviour in public spaces. Encouraging positive activities and helping users of space navigate through it can deter crime by creating various conditions for safety. An example of this principle is the signage in the design of parks. Mixed-use residential areas are also seen as areas that apply the principle of activity support, encourage diverse uses and discouraging crime as a result of ‘more eyes on the street’. Image/Management: Taking continuous care of spaces and putting emphasis in management can lead to actively used spaces that remain in good condition. On the contrary, a space, or infrastructure that is not taken care off and looks abandoned or in decay can function as a ‘magnet’ of crime. An example of this was the deterioration of the metro system in New York in the 1980’s; once the trains and stations were cleaned from graffiti and management was enforced crime rates reduced significantly. Target Hardening: This principle is similar to access control as it encourages the design of barriers of many types to deter criminals from accessing a space. The problem with this principle is that it can lead to a ‘fortress mentality’ which does not contribute to reducing fear of crime. Too many countermeasures such as alarms, security cameras, etc. may also discourage legitimate users of spaces. It is important to note that CPTED is an approach that can have multiple interpretations. Taking CPTED literally does not tend to create welcoming and safe urban environments. In contrast, high quality architectural and urban design that takes CPTED principles only as guidelines and transcends CPTED with creative and innovative designs is the avenue to achieve a balance between great places and safe designs. For example the Designing Out Crime Research Centre develops projects that are mindful of CPTED but address innovation in public space, moving away from counter measures (such as CCTV). We use human-centred design methods to capture essential human values and make them explicit in our designs. In a nutshell, we all want to feel safe, and to have a sense of control and ownership over the spaces we use. Through design innovation those values can be achieved and a reduction of crime often comes as added value. Olga Camacho Duarte is a Research Fellow at the Designing Out Crime Centre, University Technology Sydney. References for further reading can be found in the online version of this article. Camacho Duarte, O., Lulham, L. and Kaldor, L. (2011) Co-designing out crime. CoDesign 7(3–4): 155–168. Cozens, P.M., Saville, G. and Hillier, D. (2005) Crime prevention through environmental design (CPTED): A review and modern bibliography. Property Management 23(5): 328–356.